Zwarte Piet in his current form contravenes the United Nations Convention on the Rights of the Child (UNCRC) because he can contribute to ‘bullying, exclusion or discrimination’, according to a report from the Dutch children’s ombudsman. Margrite Kalverboer calls for the figure of Santa’s helper to change, removing ‘discriminatory and stereotypical features’ so he can become a figure that reflects the joy of the Dutch festival celebrating St Nicholas’s birthday. 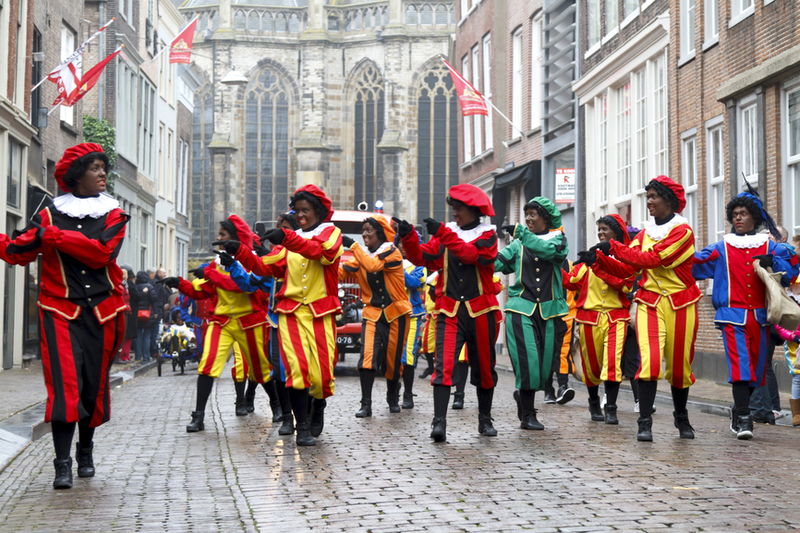 Each year, Sinterklaas has an official arrival in the Netherlands by boat, and tours the country accompanied by Zwarte Pieten (‘black Pete’) figures: blacked-up men and women with frizzy, black wigs, red lips and sometimes gold earrings, who give out sweets. She added that fierce campaigning on both sides, for and against Zwarte Piet, is not welcomed. ‘Children say this debate has become dominated by adults,’ she said. The mayor of Amsterdam, Eberhard van der Laan, has pledged to make the figure more modern, and earlier this year, two actors from Sinterklaasjournaal television show resigned, with ‘head Piet’ Erik van Muiswinkel saying NTR broadcaster must ‘listen to calls for another kind of Piet’. But there are many equally vociferous defenders of the figure, and Facebook pages calling for Zwarte Piet have hundreds of thousands of ‘likes’.